A very versatile pillow which may be used with blocks or roller. 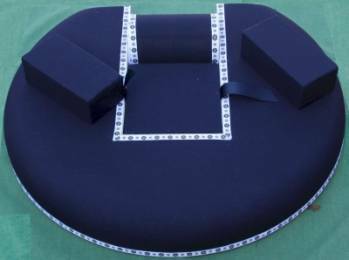 It has a firm foam interior, a hardboard base and is covered in blue cotton fabric, ready for use. The trim may differ in detail and colour from the example shown.